She has given recitals throughout England, France, Holland, Germany, The Czech Republic and Italy including first performances of John McCabe’s Solo Partita for cello in Italy and Keith Beal’s Sonata No1 for cello and piano in Holland. 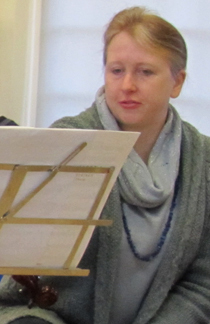 Fiona has also taken part in several recordings and more recently performed in a chamber music concert with Raphael Wallfisch at Burgh House, London. Fiona has been the cellist of The Pentland Trio since it’s formation in 2010.